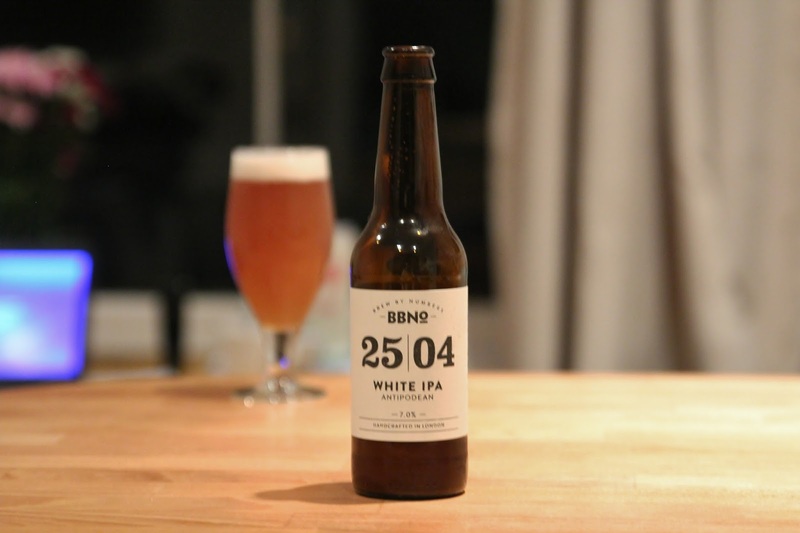 I picked up this most recent BBNo White IPA at the brewery. This offering features a blend of Southern Hemisphere hops, including Southern Cross, Motueka and Ella. The beer pours soupy gold with a dense, lasting off-white cream head. The nose has forward bready malts, some ripe and gooey citrus, suggestions of pine. Medium sweet flavour with fairly prominent ripe citrus fruit character, most notably tangerine and orange, balanced out with light piney bitterness and underscored by pale wheat bread. It's medium bodied with fine to average carbonation. Lightly resinous to finish, a little warming, with more bready malts, hints of wheat, ripe and chewy orange, tangerine, some peach, melon and grapefruit. Overall, this beer is nice and juicy, and it drinks very easily.